22 Michaels: Welcome to the Shoes of Prey team Ken! 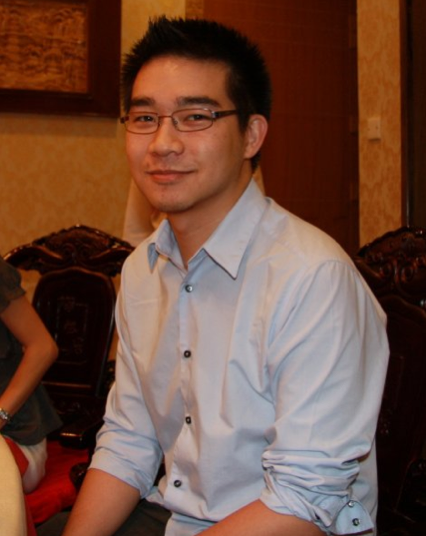 It's with great pleasure that we introduce Ken Chan to the Shoes of Prey team as the manager of our China operations! Ken completed a Computer Science degree at UTS in Sydney then went on to spend 7 years at the consulting firm Accenture. During that time he worked on and managed projects at Australia's largest telecommunications company Telstra, Hong Kong's largest container terminal operator Modern Terminals Ltd, Nokia in Beijing and Accenture's retail solutions arm in Shanghai. Most recently he spent 6 months working in china for a major ladies and children footwear exporter to the US. Ken also joins us with significant entrepreneurial experience. While studying at University Ken and some friends opened and ran a successful fashion retail store on Oxford St. in Paddington, Sydney - a popular high end fashion strip. As Ken's title suggests he will be managing our China operations and Qun, Penny, Holly, Jophie and James will all report into Ken. Ken spent his first week with the business in China last week, and has today joined us in the office in Sydney for 2 weeks training before heading back to China on Monday 6 June. We're so excited to have Ken join the Shoes of Prey team! Thanks to Matt Ho for introducing us to Ken. Surely this deserves a grill'd burger!